Sun in Capricorn will play the heavy in this relationship. Moon in Gemini’s need for communication may not sit well with taciturn Capricorn, but he will be able to provide structure for her (while she injects some variety into his life) as long as his rules aren’t absolute. Sun in Capricorn likes to have things under control. Authority is his tool, and he wields it expertly. He’ll likely be successful in whatever career he chooses, and his lover can count on him to be a committed, traditional partner. However, she needs to be aware of his dependence on rules; Sun in Capricorn will insist on having things a certain way in his relationship. His ideal partner would be someone who could support his ambitions, while having enough spontaneity to liven up his existence of ritualized responsibility. Moon in Gemini needs an ongoing conversation in her relationship. This Mercury-ruled Moon is happiest with a lover who talks. The conversations don’t have to be deep (Moon in Gemini prefers to keep it light) but she does require a constant stream of new ideas and information. Although always restless, a sure sign that she’s unhappy is her tendency to flit from one interest/mood/topic to another, while being dissatisfied with everything. 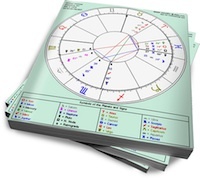 Sun in Capricorn can certainly benefit from the variety that Gemini will bring to his life, but whether he’s open to this depends on how controlling he is. If he’s less mature (and hasn’t had the opportunity to get comfortable in his own skin) he’ll become impatient or intolerant when Moon in Gemini chatters too much, or attempts to interest him in something new. She’ll respond with agitated moodiness. However, if Sun in Capricorn is secure enough to relax some of his boundaries, he’ll be able to provide a secure structure for Gemini to live within, while she livens things up for him at home.